Should you sing your own song demos or hire a professional demo singer? The number one most important part of a great demo is the vocal. Hands down. If you have a great vocalist singing on your demo, your odd's for success just went up about 1000%. Music producers, publishers, label executives, recording artists, are surrounded by great voices. They work with the best of the best on a daily basis. I've been singing all my life and I seldom sing my own demos. Matching the right voice with your song can make the difference of having success or failure when it comes time to pitch your songs out to the industry. Singing live in a nightclub or concert is like night and day from singing in the recording studio, especially if you haven't done it much. A professional demo singer can sing about anything and "sell" it. Peanut butter, cars, jelly, plumbing services, etc., it doesn't matter what the words are. They are professional singers and they will sing whatever the words are in a way that will make you want to "buy" whatever it is they are singing about. Hopefully, that is your song they are singing when that sale is made. Wouldn't that be cool? It is the whole point of a great demo and exactly the end result you want when you pitch your song. 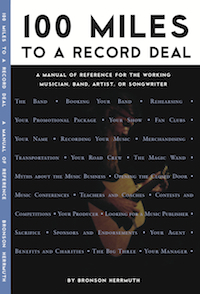 A great demo singer can walk in, take the lyric sheet and start reading it as they listen to the "work tape" of the song they will soon be singing. They will jot down notes on the lyic sheet as they go - usually humming or singing along with the lyrics - listening to it two or three times. They walk into the studio, get set up on a mic, and we start working with the song as the engineer is setting up the sound on their voice. Keep in mind they may have never heard this song before in their life. They know how to "work" a microphone, they're very comfortable and at home in a recording studio. They ask pertinent questions to get all the input they can on what the songwriter or producer has envisioned vocally for this recording. We start the "tape" and they start singing. Of course the producer listens closely, taking notes and making suggestions as we record. Most times this all takes place on the first pass of the recorded track. They've sang the song once and believe it or not, many times we've got half the song recorded on that first pass. We roll back to the beginning of the song and let them sing it again. Chances are we'll stop the recording, back up, and overdub a specific line here or there in the song on this second pass. Nine times out of ten, by the third or fourth pass - singing a song they've never heard before in their life - we're done with the lead vocal. Then we start on the harmonies while this song is fresh in their mind, if they've been hired to sing background vocals too. We go right to the lines we want harmony on and this is where the best of the best demo singers really earn their money and ensure that you will always call them first. They offer input, ideas, suggestions, either verbally or by just doing it when they sing the part, that add to the total finished project. They have an incredible ability to always retain the exact notes they are singing so if you like it, they can do it again just like that, or better. Many times they will be singing two or even three different harmony parts and stacking each one. Each time they must sing the chosen part exactly the same so it will match the other. It's quite impressive to watch them do it and do it so quickly, line after line. Many times they will be asked to make their voice sound like a specific artist that the finished recording is going to be pitched too. The producer might request they deliver the lines in the same manner that particular artist would approach the song. They might be asked to sound less country or more country, more pop sounding or more bluesy, more rock, and maybe please sound younger or older, more happy or sad, whatever the producer is going for on that song. A song they've never heard before in their life before that moment. It never ceases to amaze me how good they are and how fast. Speed being the number one reason I'm going to call that demo singer since time is money in the studio and using a pro demo singer can save you a lot of money on studio time, which is why we always call them first. They are professional singers and it's how they make their living. If you're a professional singer and you're having success when you pitch your song demos, I'd say the answer is of course yes, you should continue singing your own demos. If not, hire a pro demo singer and get ready to hear your song go to a whole new place and time. It's a real thrill to hear your song sang and interpreted by a great singer and well worth every penny, if you're serious about your songwriting career and your song demos. If you don't know any pro singers, call me. I work with some of the best demo singers and musicians in Nashville. We're very proud of them so just contact me and I can produce your song demo for you. I look forward to hearing from you!